The wife and I were walking around, trying to clock up steps on our Fitbit. We noticed that cactus in the neighbourhood near my in-laws place are flowering. 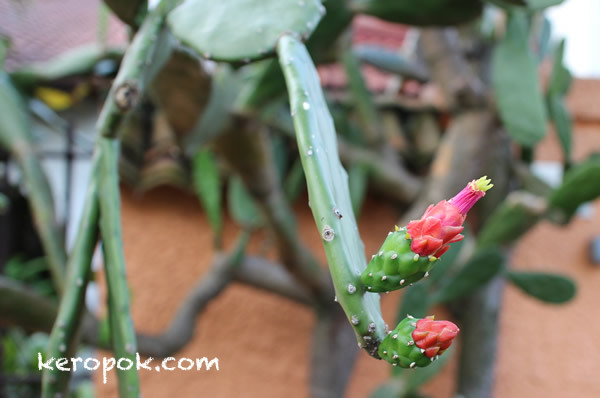 We are not sure why, but the many houses with cactus plants are all flowering! The MIL says the household is in luck. We think it's because it's Chinese New Year coming and it's some sort of seasonal thingy. The flowers are beautiful aren't they?